Apple filed a patent-infringement complaint with the US International Trade Commission on Friday which seeks to block the import of Nokia mobile phones into the US. 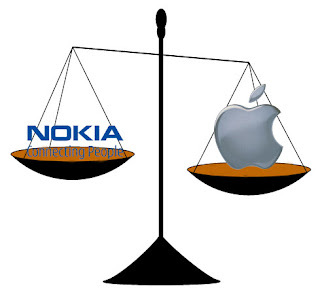 Apple’s complaint is a legal response to a similar complaint filed by Nokia on December 29th which requests a ban on the import of Apple iPhones, iPods and MacBooks. A copy of the Apple complaint was not yet available but we don’t need to read it to know that watching all this legal gesturing play out will be a lot more entertaining than any episode of Maury Povich.